Milwaukee produced its first tool in 1924 and now specializes in heavy-duty tools. It’s currently owned by Techtronic, which also owns the Ryobi, AEG and Homelite tool brands. Milwaukee’s hammer drill can be used to drill into wood, composition materials, plastic, metal and masonry. The hammer action aids in masonry drilling. Problems with Milwaukee hammer drills can be related to the technique that you use, the chuck and issues with the bits. Problems like these can be corrected by following some troubleshooting steps. Insert a high-speed carbide-tipped drill bit into the chuck if you encounter problems drilling into masonry. Select the hammer drill mode only when drilling into masonry if your encounter problems drilling into other materials with the hammer on. Insert a high-speed carbide-tipped drill bit into the chuck if you encounter problems drilling into masonry. Regular drill bits won’t work properly. Use the right type of bit for the project. 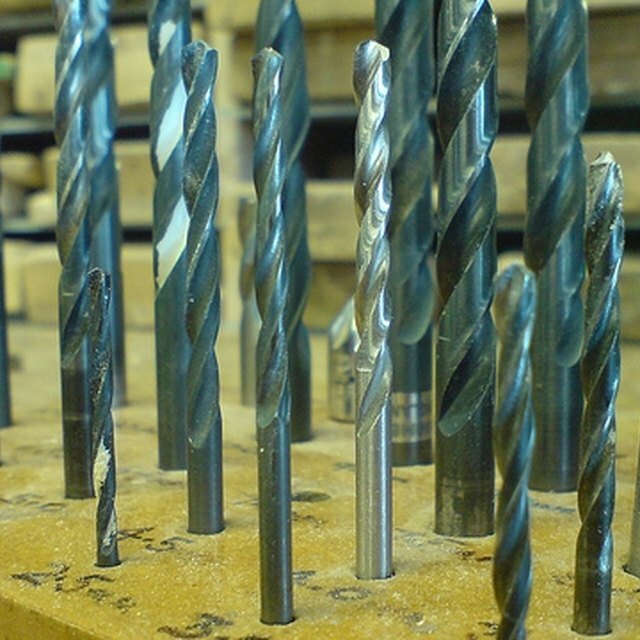 High-speed steel twist drill bits work well with metal drilling, and augers or twist drills work well with wood drilling. Don’t force the tool — use the right bit instead — but apply a little pressure drilling into cinder block, and a lot of pressure drilling into concrete. Look at the flow of dust if the Milwaukee hammer drill doesn’t appear to be penetrating. A smooth, even flow of dust from the hammer action into concrete indicates penetration. Don’t run the drill without penetrating — look for a reason why, like encountering a metal bolt in masonry, for example. Open the chuck jaws by turning the sleeve in a counterclockwise direction if the chuck won’t open. Close the chuck by turning it clockwise by hand if the bits fall out. Back wood projects with a chunk of scrap wood if the wood splinters. Pull the bit out of the hole from time to time to clear wood chips from the flutes on the bit.